Posts which conclude and summarize multiple individual posts in a series about one topic. • Col. 1:27 – Christ in us is the hope of glory. • Matt. 16:27 – The Son of Man will come in the glory of His Father with His angels. • Eph. 5:27 – Christ will present the church to Himself glorious. These verses might cause us to think that glory is general and always the same, but Peter once uses the plural glories. “The prophets…sought and searched diligently, searching into what time or what manner of time the Spirit of Christ in them was making clear, testifying beforehand of the sufferings of Christ and the glories after these” (1 Peter 1:10-11). The Lord Jesus promised, “you will see the Son of Man sitting at the right hand of Power and coming on the clouds of heaven” (Matt. 26:64). He will come to judge the earth, to rapture the believers, and to “present the church to Himself glorious” as His bride, His wife. We must cooperate with His operation to be ready for this. 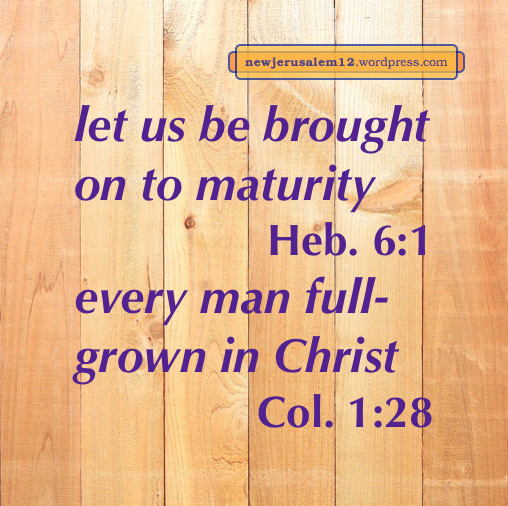 Here are links to posts on this topic with a key point or verse from each. In a parable in Matthew 24 the Lord charges us to watch and to be ready for His coming. In Matthew 25 there is a warning to us—not all believers were ready to enter. 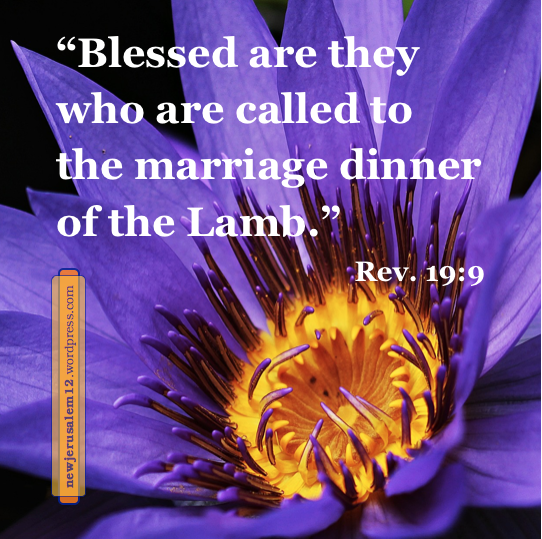 The readiness of the bride comes from God working in us in response to our cooperation. Our cooperation includes letting the Lord’s living word operate in us, not loving the world, watching in prayer, denying the self to be filled in spirit, and not saying, my Master delays. 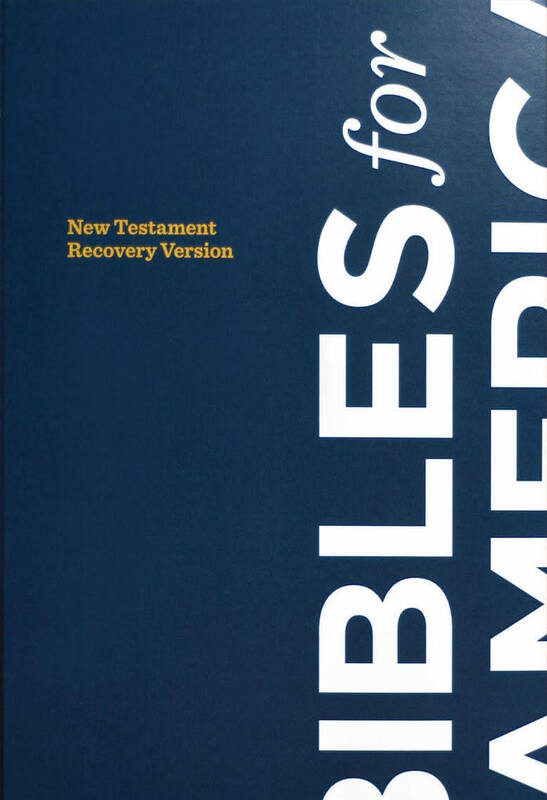 The New Testament is the gospel, the good news of Jesus Christ. The New Testament begins with John’s proclamation of the gospel and ends with New Jerusalem. These two end points are connected. Many aspects of this gospel correspond to or point toward characteristics of New Jerusalem. Here is a key point from, and a link to, each of the recent posts on the gospel. In 1 Timothy 1 we read of “the gospel of the glory of the blessed God.” This is the good news that God is being glorified in Christ Jesus and through all His believers built together to become New Jerusalem. God called us through the gospel “unto the obtaining of the glory of our Lord Jesus Christ” (2 Thes. 2:14). Ultimately this glory radiates from our Lord through New Jerusalem. “The gospel of peace” (Acts 10:36) points to New Jerusalem because Jerusalem means The Foundation of Peace. “The gospel of the kingdom” (Matt. 4:23) is for the inward reality of His kingdom now, the manifestation in the next age, and the eternal kingdom of New Jerusalem. Paul was “announcing Jesus and the resurrection as the gospel” (Acts 17:18). We have been regenerated through the resurrection of Jesus Christ “unto an inheritance, incorruptible and undefiled and unfading.” This wonderful inheritance includes everything related to New Jerusalem. “The hope of the gospel” is “Christ in you, the hope of glory” (Col. 1:23, 27). This too points to the glory of New Jerusalem. The gospel of the grace of God and the word of His grace, build us up and give us the inheritance among all who have been sanctified. This inheritance is ultimately New Jerusalem, the holy city for which we have been sanctified. “Our Savior Christ Jesus, nullified death and brought life and incorruption to light through the gospel” (2 Tim. 1:10). New Jerusalem is a city of life and of incorruption. We receive resurrection life and incorruption through the promise of the gospel. The gospel is “of Jesus,” “of Jesus Christ,” and “of Christ.” He is the center of the gospel and He will be the center of New Jerusalem. He is the same yesterday, today, and eternally (Heb. 13:8). The unsearchable riches of Christ are the gospel in Ephesians 3. God’s intention is that these riches fill us and be expressed through us. Photo by astronaut Samantha Cristoforetti, courtesy of NASA and ESA. In New Jerusalem is “a river of water of life, bright as crystal, proceeding out of the throne of God and of the Lamb in the middle of its street.” This is the Triune God flowing to us: God and the Lamb on the throne and the Spirit as the river. The throne in Hebrews is the same as in New Jerusalem. Hebrews does not have the word water but there is a flow of mercy and grace here. When we come, we receive mercy. This coming is like John 7:37, “If anyone thirsts, let him come to Me and drink.” In Hebrews, if anyone needs mercy, let him come to the throne. 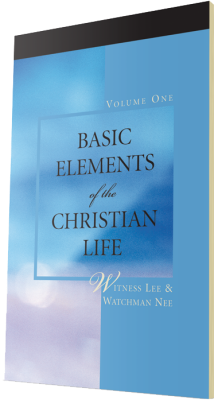 A song (words, music) by Witness Lee begins with this flow, “In the holiest place, touch the throne of grace, / Grace as a river shall flow;.” The chorus is “Hallelujah! Hallelujah! 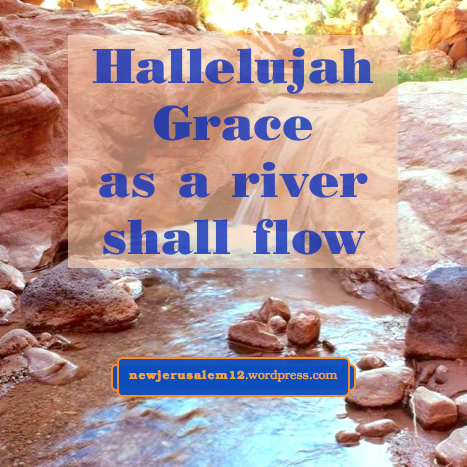 / Grace as a river shall flow.” And the song concludes “Hallelujah! Hallelujah! / Touch the living fountain of life.” This should be our experience now and will definitely be our experience in New Jerusalem. Ephesians 3:8 speaks of “the unsearchable riches of Christ.” Eternally these riches will fill New Jerusalem. Below are the titles of the main posts on this topic, with a link to the post. Here are additional posts on the riches and fullness of the Triune God. O the Depth of the Riches & Wisdom of God!